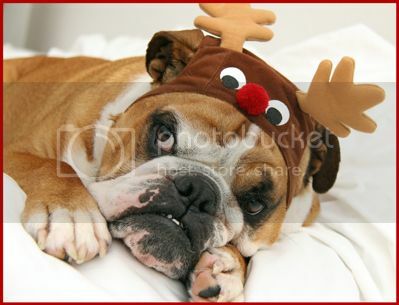 English Bulldog News Forums - December 2012 Photo of the Month Contest Winners! December 2012 Photo of the Month Contest Winners! Congratulations to Libra926, the winner of our December 2012 contest! Congratulations to LaurenA for being the Runner-Up! Aw, cute pics! Congrats all! Well Deserved! 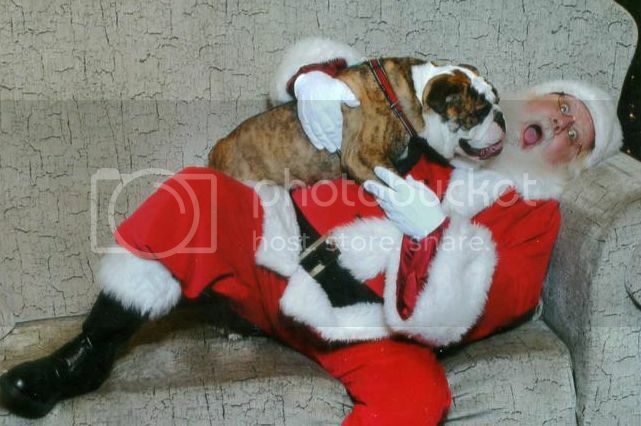 That Santa kills me! Congratulations!! great pictures both of you, just love love love them!!!! Great pics as always so hard to choose! Congrats to the winners! Well deserved! Since all of the pictures couldn't win, these were perfect choices!!! Congratulations! Congrats to you both! I voted for both pictures... just too darn cute! Congrats to both winners! They were both my favorites!! Great Holiday pictures! Congratulations, both great pictures, I loved them all, but these two were two of my favs!! Congratulations!!! 2 of my faves. Libra 926 you really nailed it.. What a delightful Christmas pic. So deserving of the award. Congrats! Vegas is too adorable in that pic! Congrats! those pictures are indeed priceless! !